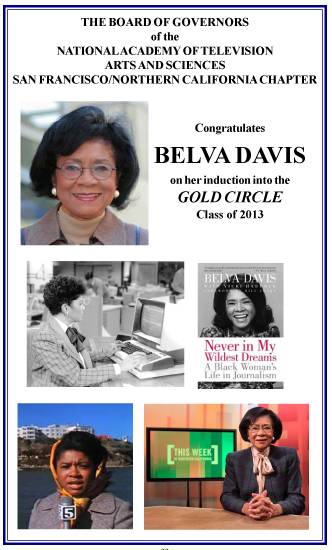 Belva Davis has spent more than 50 years in Bay Area journalism (print, radio and television). Among Belva’s accomplishments, she was the Bay Area’s first African-American female television news anchor and first on the West Coast. She has worked at KTVU, KPIX , KRON, and KQED. As a reporter, Davis covered many important events of the day, including issues of race, gender, and politics. In a career spanning half a century, she has reported many of the most explosive stories of the era, including the Berkeley student protests, the birth of the Black Panthers, the Peoples Temple cult that ended in the mass suicides at Jonestown, the assassinations of San Francisco Mayor George Moscone and Supervisor Harvey Milk, the onset of the AIDS epidemic, and from Africa, the terrorist attacks that first put Osama bin Laden on the FBI’s Most Wanted List. 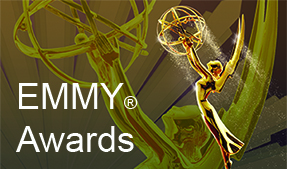 Among Belva’s many honors, in addition to the Silver Circle and seven Emmy® statuettes, has been as a recipient of the 1995 NATAS Governors’ Award and many other Bay Area, regional, statewide and national honors; including numerous accolades from AFTRA, RTNDA, PBS, and BABJA. She was the host of KQED-PBS This Week in Northern California for almost twenty years and co-author of Never in My Wildest Dreams. 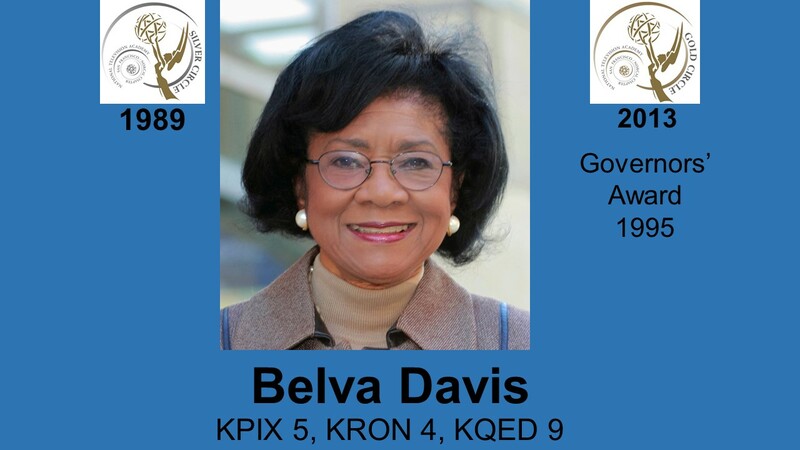 Belva retired from KQED in November of 2012. Belva is married to former KTVU photographer Bill Moore (Silver Circle 1989).